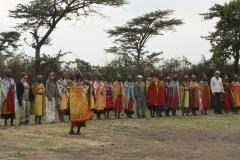 Sentinel Camp is situated in a prime area of the Masai Mara National Reserve. The Musiara Marsh area renowned for its outstanding game viewing is where both the BBC “Big Cat Diaries” and Disney’s “African Cats” were filmed. You are assured of an excellent game viewing experience. The camp itself is set up in a forest with wonderful bird life and the private and natural setting ensures that guests have a most enjoyable and authentic experience of the bush. 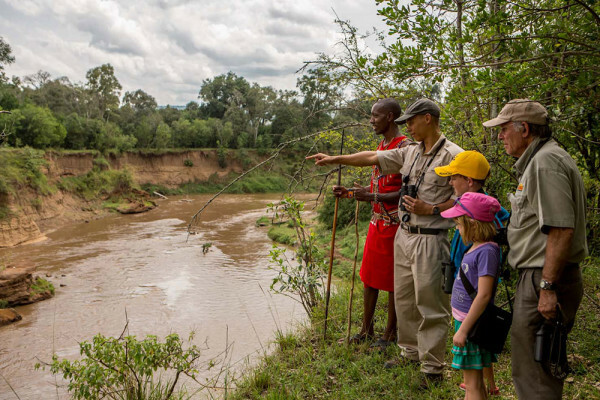 Being on high banks above the Mara River means that there are always hippo and crocodile in the river below to be seen! *Rates are based on per person, per night. Guided bush walks in a nearby area with our naturalist or a bird walk in the forest around the precincts of the camp are also available. Stroll along the escarpment with amazing vistas of the savannah plains. 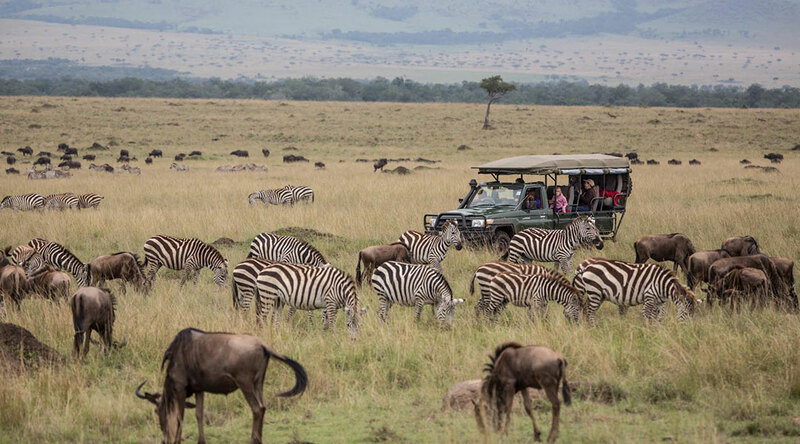 Daily Game drives are tailored to your preference and guided by Qualified Guide(s) with invaluable knowledge on the behaviors and patterns of the wildlife. 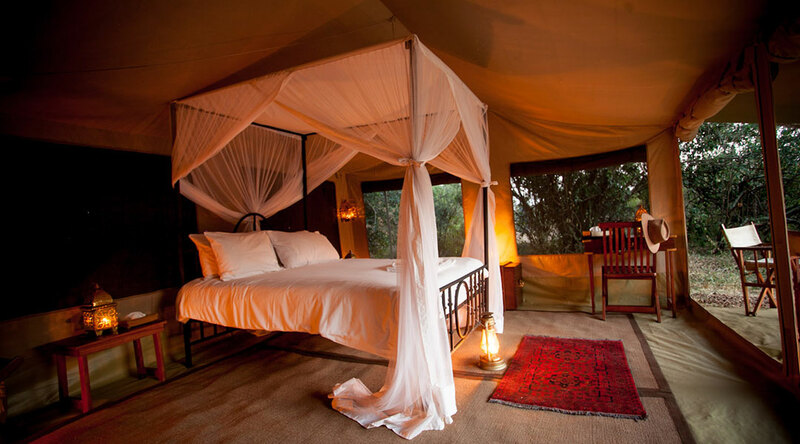 The camp can also arrange for guests to visit a nearby Masai village for an opportunity to see their lifestyle and learn about their customs and culture. A balloon safari with champagne breakfast can also be arranged. Wi-Fi as well as charging facilities are available in the lounge tents. *Sentinel Mara Camp is closed in November and May. Rates are subject to change and different rates may apply during holiday seasons and special events.